Faith Lutheran Church proudly supports missionaries Rev. Daniel Conrad and Rev. Ryan McDermott and their families. For more information about their work and to support them, please click on the "Mexico and West Africa Missionary Support" link. 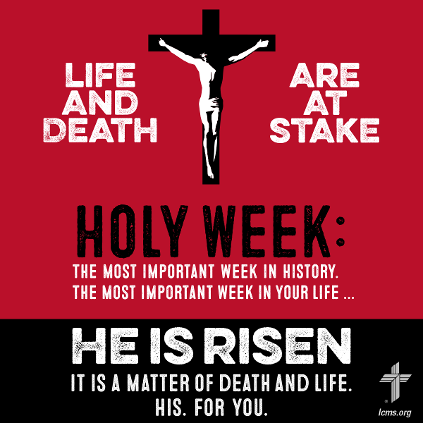 Good Friday, April 19 - 6:30pm "Tenebrae Service"
Easter, April 21 - 9am "The Resurrection of Our Lord"